What are the best treatments for mental health problems? How do the experiences of people with mental health problems compare with the academic models of disorders? Building on the success of the first edition, this textbook has been extensively updated to include the latest research and therapeutic approaches as well as developments in clinical practice. The book maintains the structure of the first edition with two main sections: the first introduces and critically evaluates the conceptual models of mental health problems and their treatment; the second contains in-depth analyses of a variety of disorders such as schizophrenia, trauma-related conditions and addictions. In the second section, chapters are now restructured to give a comprehensive aetiology of the disorder as well as analysis of treatments for the condition. Each disorder is viewed from psychological, social, and biological perspectives and different intervention types are investigated. 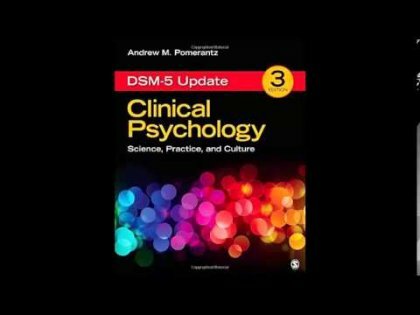 Abnormal and Clinical Psychology provides the most comprehensive European alternative to the long-established US texts for undergraduates in this field.